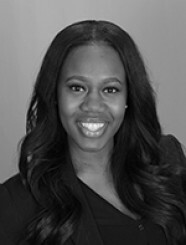 Michelle Johnson is a Marketing Associate at Generational Equity, with responsibility for marketing implementation, brand management, and buyer services. Prior to joining Generational Equity, she worked as Director of Market Support for Marriott. Michelle's greatest strengths are her creativity, drive, and leadership. She thrives on challenges, particularly those that expand the company's reach. Michelle holds a Master's Degree in Public Administration and a Bachelor of Arts Degree in Mass Communication from Grambling State University.